When I was packing my house up to move this summer I found a box full of old journals. I have been writing in journals since I could pick up a pen. But I had no idea that I had accumulated so many. My oldest journal has a kitten on it and is full of hearts that say, “I love Chad” apparently in 3rd grade I was very enamored with a boy named Chad. It also has short stories I made up in my head as well as my thoughts and feelings about the surgeries I under went as a child. It is also filled with my deepest childhood fears and biggest dreams. I have journals from high school as well as trade books that are filled with notes from friends as we passed it around school. It’s amazing to see my life story compiled into one very large box. I’m not sure what exactly made me start writing as a child, but I know why I continue to write now. I carry a journal with me everywhere, it’s tucked into my purse I love to grab it out when I get an idea or when someone says something amazing. It’s right there ready to be filled with magic. I know in the age of technology that I can keep notes and ideas in my phone, but there’s something amazing about tangibly writing it down. For me the act of putting pen to paper actually helps me to remember what ever it is that I am documenting. I write because it’s how I talk to God, it’s how I learn from others, and it’s where I work out my deepest hurts. I’ve even pulled out my journal while driving with a friend because what she was telling me was so incredible, I had to write it down. I never want to miss an opportunity to learn something. I take notes during sermons and write during my devotional time. Writing it down means I can go back and learn it again. I love to read old journals and see how God has worked in my life and how far I have come in my walk with Him. I can look up how God spoke to me through a certain bible verse, I can go back and remember that one awesome thing a speaker said at church. It’s like having my own brain dictionary. I also glue little mementos and cards/notes from friends. I can go back and read their words to me and remember how loved I am. I can’t even begin to tell you how many times I have reread letters and notes from friends, it never gets old and never seems to stop encouraging me. 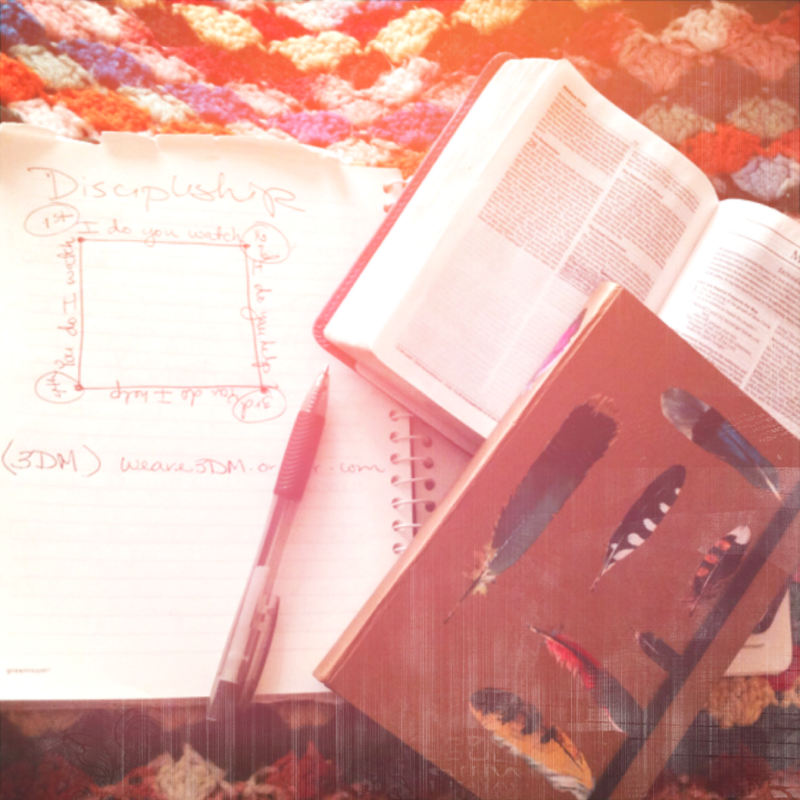 Journaling is how God puts His commands in my heart and writes them in my mind. I love that verse in both Hebrews and Jeremiah. I want to carry Gods word in my heart and for me it helps to carry His word in my purse as well. The lasting legacy I will be leaving my children as well is a motivation. My children and grandchildren will be able to see my heart and my struggles, see my faith in Jesus Christ and how He worked in my life. It gives my heart some peace knowing that if any of my loved ones read my journals they would see passionate prayers for them, tear-stained pages filled with words of love for them, they would know how I feel about them and how God feels about them. That is so important to me. Writing my thoughts and prayers down helps me be closer to who God wants me to be while I am here on earth and it will be my hand written history for my family to learn from as well. It is easy for me now almost second nature to pull out my journal and write, but it has taken over 20 years of writing to get here. It may be a struggle at first, however I want to challenge you to start writing, it will change your life, create a deeply relationship with your Savior, teacher you more than you can imagine and create something that is priceless for generations to come.